Join Tampa wedding vendors for an intimate gathering at the Apple Blossoms Wedding Center this Sunday, August 24th from Noon – 4 p.m. 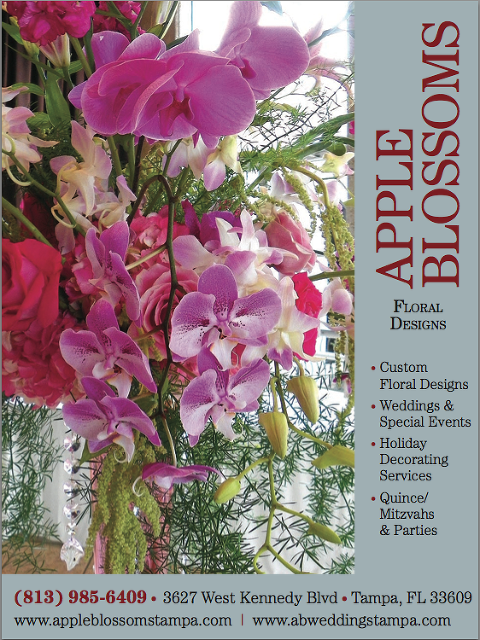 The Wedding Center is adjacent to Tampa Wedding Florist Apple Blossoms Floral Design and features some of Tampa’s premier wedding and event professionals. See a complete listing of Tampa wedding vendors. The event is free and light refreshments will be served. Door prizes will also be awarded to some lucky brides! Sunday, August 24th, 2014 Noon-4 p.m.